Click here to visit the Clarins facebook and like them. Then on the “Fan Promotions” tab, you should see “Limited Time Offer” on the left. Click “sign up now” and then just fill out the form to enter. 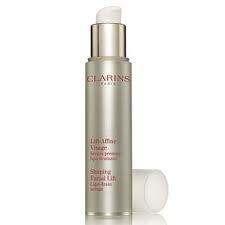 6,000 lucky winners will score a free sample of Clarins Shaping Facial Lift Serum. You’ll have until September 30th to enter this one. Good luck!